With co-op and semi-cop already introduced, it sort of seems a natural flow from that point that there are traitor mechanics. Traitor mechanics are mechanics where one individual player can choose to change their allegiance to the rest of the group. Traitor mechanics are important to separate from semi-co-op, because a traitor needs to have had some reason to be in the cooperative group in the first place. Usually, traitor mechanics are best deployed when there’s an incentive for players to succeed together, but also an incentive to succeed alone. This can be a challenging puzzle when you deal with it in a larger scale – you want to design things so the traitor is an option without it being a natural endgame. You can also use traitor mechanics as a way to introduce surprise and spice to an existing game structure (and it shows up in some co-op Legacy games, but I won’t mention which ones because that’d spoilery). Note that a game with a traitor mechanic really isn’t too different from ‘a semi-co-op game.’ These arent pure descriptors of mechanical language as much as they are trying to be useful guides to what someone means when they mention a thing. I tend to think that traitor mechanics want to be part of larger games – games like Archipelago and Battlestar Galactica, where if one player is a traitor, deducing that they are and routing around them still has enough game to it. That’s not to say they’re totally necessary to make traitor mechanics work – after all, you can view poker as a game based around a traitor mechanic, and so to our small game Pie Crimes. I think myself, I’d avoid using the term traitor mechanic too broadly. It isn’t just the idea of competing, unsure teams like The Resistance – it’s about giving a player a reason and a choice to prioritise themselves over others. 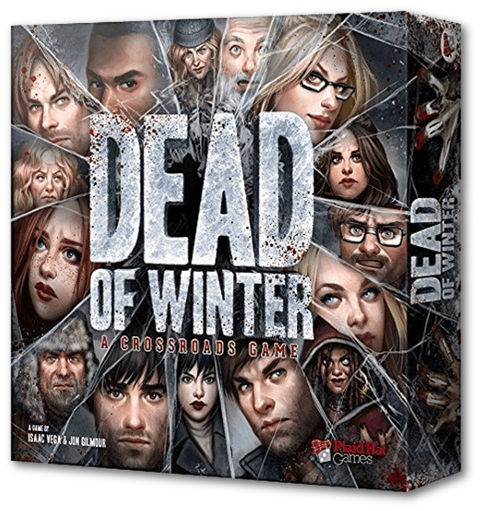 Dead of Winter does this by giving players secret goals – stockpiling medicine, for example – without necessarily making it break the whole group at large. This isn’t Betrayal At The House On The Hill either because it’s not like a player ever has to choose between competing rewards. Mafia De Cuba and The Game Of Thrones board game. Okay, remember cooperative games? Well, semi-co-op games work around that space. They have the basic setup of a cooperative game, but there’s something in the game, some player’s behaviour, that keeps it from being purely cooperative. Usually this means there’s a player who is secretly working against the actions of other players, but sometimes it can mean that there’s just the suspicion of such a thing. There’s a really different affect to a semi-cooperative game. Semi-co-op games aren’t like ‘cooperative games, but,’ because suspicion tends to become a huge part of the game. It’s less about how to complete the cooperative challenge, and much more about how you can use your actions to either obscure your intentions, or to entice other players to take actions that would evoke their identity. Semi co-op structures are really good at fighting quarterbacking (as described in the cooperative term). 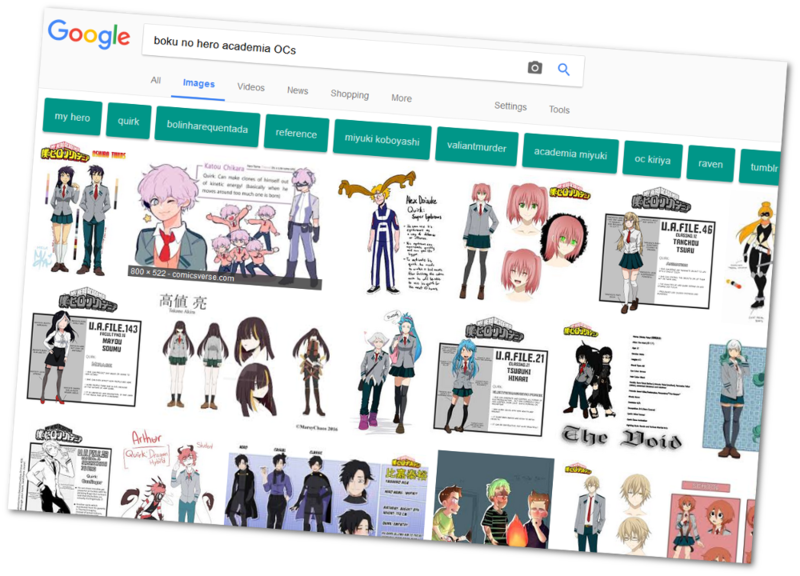 They’re also really good for representing a fairly robust, classical narrative – people work together, then there’s a sudden disruption where someone gets revealed to not be a part of the solution. There’s also just the fear of that. Sometimes players will avoid making optimal communication just because they might be dealing with a traitor in a game that might not have one active. The other type of semi-co-op can be one with one player an open adversary to the other players. This opposition means you can give the game an oppositional force that has to make decisions, like a Dungeonmaster or Game Master role. Another, third way to do semi-co-op is to have players form cooperative units. Imagine a game where two players work together on their own small project, at a time, then each of those projects compete to see what they can do. … buuuut then you have to basically make two games at once. Semi co-op games have to have design space set out for the oppositional player and this can often get out of hand. It’s part of the design load, where you need to create content for both forms of contribution. Betrayal at the House on the Hill, Dead of Winter, the non-co-op expansions to Pandemic. 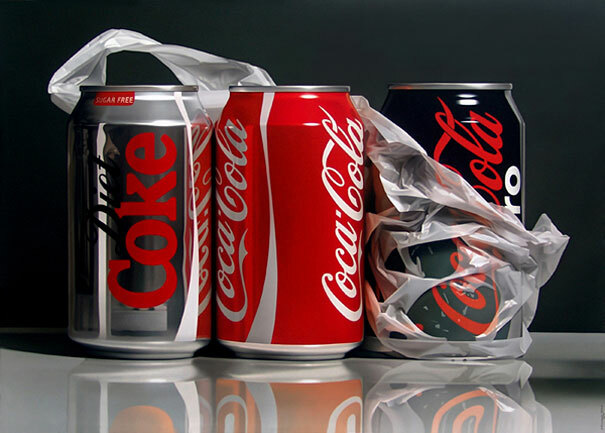 A cooperative game is a game where multiple players are all working together to achieve the common end of the game. This isn’t the same thing as a game where players can cooperate (like many trading games or war games), but games where the entire point of the game is for two or more players to work together to win it. Cooperative game designs are great for making games for players who aren’t interested in direct conflict. They’re also good for making somewhat basic problems much more complicated and engaging. It’s one thing to just lift a box, but if one player has to lift the box, and another player push it forwards, you’re going to make something that wasn’t quite a challenge into a problem of communication. Honestly, though, cooperative games are excellent for people who just don’t want their games to be about butting heads and would rather work together. One of the big problems that cooperative games tend to get is commonly called quarterbacking. The idea is that as long as all players are collaborating on the project of the game means that it’s possible that one player can take control of the play – that there is, in any situation an optimal play, and then it falls to one player to make that play as best they can. This can mean that in any given play situation, one player might not be making many choices, and one player might be making more. There are ways around this, but quarterbacking is the biggest problem with pure cooperative games. 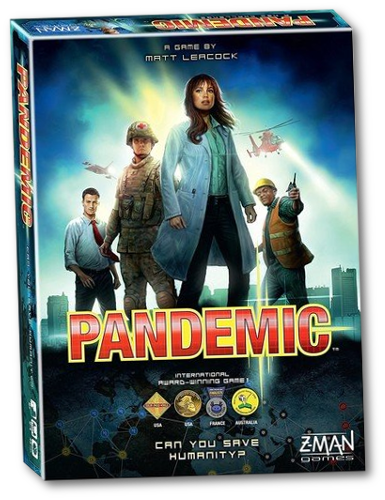 Pandemic, and most of its connected works. Mysterium. Hanabi. Spirit Island. I don’t know if anyone else is using this term to talk about this, so here we go, my best effort to try and coin this term so I can talk about it easily. The Procedurality of a game is the degree to which game pieces imply the existence of one another. That is, when you’re confronted with a game pieces, you can probably extrapolate what the other pieces mean. As a player this determines how you learn and study the strategy, while as a designer, procedurality shows you the extent of a design space. Here are some examples: In this pretty ordinary poker hand, you can look at the cards and glean some information. First, there are cards that number up to ten, and cards that number down to four. There are numbers on most cards, and there are some different symbols – a heart, a diamond, a club and so on. Based on just this information, if you’d never seen the deck before, you could probably extrapolate what forty of the cards are, maybe forty-four based on the Jack probably not being totally unique. The design of a deck of cards works with this – there are two jokers, but aside from that, the whole design is contained pretty tightly within the two variables of each card: Value and Suit. These are cards from a packet of Dark Signs. One of them is very much unlike the others, the area pieces that you’ll play to win. But two of the cards kind of imply the values of other cards, while the third shows that there’s at least some cards in the deck that don’t fit that pattern. The basic runes in Dark Signs represent the lowest sort of procedurality – they show some value that the players will have to deal with, but they aren’t the whole of the game. The procedural cards in Dark Signs show a sort of design space, but they aren’t super obvious. Also, and it’s a small thing, in Dark Signs, the basic runes all have prime number values, which makes them just a little bit trickier to make score ties. There are 26 cards in You Can’t Win and 24 of them are immediately obvious the second you look at any given card. The other two are Wild cards. Each card shows a value, and a rule that relates to cards with that value. Procedural games are a good place to get started. It helps you get your mind in the space of working out how many cards you need, and if you do it right it can help you explore spaces, defining boundaries by how many different permutations you need of an effect. A dice pool refers to a resolution mechanic where rather than rolling a dice or a number of dice and summing the results, the number of dice themselves is some part of the mechanics. 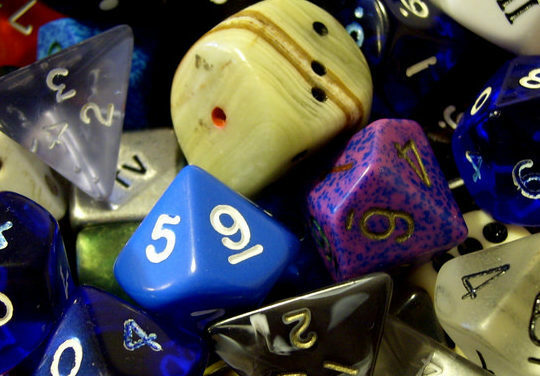 The simplest version of a dicepool is one where you roll a large group of dice, and then select which results apply to which part of the resolution. A single dice (or number of dice plus a modifier) is a resolution mechanic that follows a very simple experience: You roll the dice, you do the math, and then you have your result. This makes a dice roll, singular, as a very simple ‘switch’ experience, comparable to pushing a button in a videogame. You press a button, the system responds to the math, you get a result. That’s a really good, robust mechanic I like using for any game where you want some variance in a reliable, regular action – like in D&D, for example. A dicepool, by comparison, is more of a system for making resolution itself a game. This isn’t all it’s used for! But it’s a simple way to use dice that isn’t just adding or subtracting on top of them. So one of the most basic things you can do with dicepool systems is you can make players make decisions. Let’s say you have a system where players are setting up a car for a race. You roll a fistful of dice at the start of the game, and select, of those dice, some to be the engine, some to be the tires, and some to be the seating. Then, as you play the game, you prioritise how you drive your car based on those earlier decisions. One way that Exalted uses a dice pool is that you roll your d10s, and all dice that are 7s or higher are ‘successes,’ and you need a certain number of successes to win. This is a weird bit of terminology that maybe a designer who cared about language might fix but whatever, like in Blades in the Dark the point is that you can use a dicepool to handle a resolution in a system where you want players to succeed, on average, but don’t want the degrees of success to be as varied as the numbers on each dice face. A dice pool doesn’t even need to be rolled: You can use a dicepool system to have a number of counters that are kept at a particular number, or incremented as appropriate, based on the players’ choices. And even then you can use that these counters are dice as part of the play: Make it so it’s calibrating a computer, and sometimes a virus rolls some of the dice randomly! Dice pool systems can get pretty weird when you make them success-or-fail. It’s also got a mechanical limit – rolling 1d20+30 is not the same physical question as asking someone to roll 30d6 and count the successes. 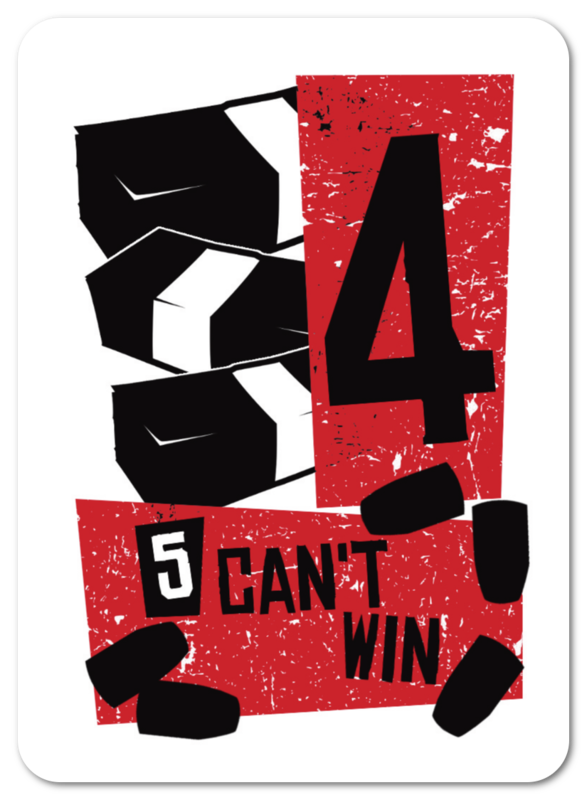 Another thing with dicepool systems is that when you add components per player, they get out of hand fast – so if you want a game where each player needs to roll 5 dice, then one player needs 5, and 2 needs 10 but if you wanted 4 players you need 20, and you need to store those dice. One final thing with dice pool systems is that while rolling big fistfuls of dice is exciting, doing fiddly book-keeping or rules changing or changes to each dice in the pool multiplies irritation. So it doesn’t always work with every type of dice mechanic. Exalted, Scion, and the other of White Wolf’s other various roleplaying games. A hidden role game is one in which a player or players, selected out from the group, have some element of their play goals altered in a way that sets them apart from the group. 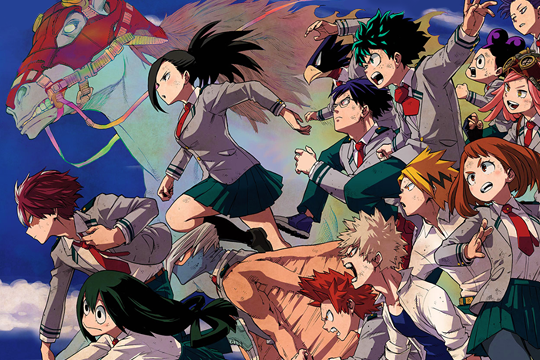 Hidden role games are not always asymmetrical team games, but they often are. Hidden role games are most obviously useful for making deducing who is on what team part of the game. This is the basic core question of games like Secret Hitler and The Resistance: Avalon – the gameplay is almost completely about working that out. 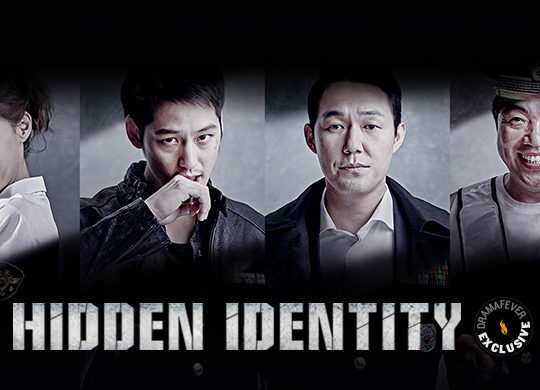 Nonetheless, Hidden Role is not a mechanic limited to this. You can use it as part of a larger game, where for example, players are largely competing to put together a set of resources, while one player is trying to prevent that without being noticed. You can even make hidden role games where the hidden role is itself a power – look to games like Maskerade and Coup. Finally, Hidden Role games can be made co-operative as a way to ensure quarterbacking can’t or won’t happen. Players can’t actually determine an optimal path of what players should or shouldn’t do without literally knowing what they actually can do. Hidden role games can kinda bottle anxiety. It can be exciting and thrilling to play a hidden role game with your needs and wants a secret, trying to keep from being caught, but it’s stressful. Hidden role games also tend to be comparable to one another. Maskerade, The Resistance, One Night Ultimate Werewolf, and Battlestar Galactica. A deck builder game is one where building a deck of cards is the core mechanic of how one plays the game in play. This isn’t the same as a game where you build your own deck, like Magic: The Gathering, because in that case, building the deck is an experience you (usually) do on your own. In a deck builder game, you are typically doing something that builds the deck as part of the process of playing the game. 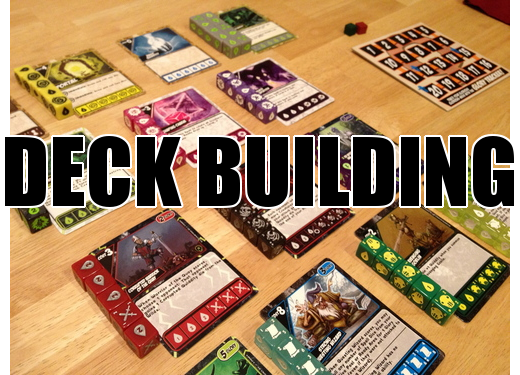 Deck builder games are great, because the mechanical structure of a deck builder lends itself to a lot of very satisfying things, while still being thematically really varied. Some deck builder games use the deck to represent short-term limited decisions and combat, some use them to represent the slow process of economic movement of kingdoms. Deck builder games have a lot of room for variance. You can have games with a very rigid structure, like Dominion or games that do a lot with keeping things freewheeling like Star Realms. You can play with rarity or commonality, you can involve other elements like dice and boards. Deck building is really one of the easiest game types to approach as a designer who wants to make something really large without necessarily having the resources to make a big project. Also deck builders, if balanced well, provide a lot of variance. If there’s no single best way to play, you can use a lot of things to make your play experience more varied and fun. It is one of the most glutted formats of games right now. What makes this glut worse is that most players don’t need a lot of deck builders in their collection. One good one will usually do the trick, and some players will be dedicated Dominion collectors or Legendary collector, or maybe they just want a single big-box experience like Arctic Scavengers. The point is, everyone’s deck builder of choice tends to have a thing that sets it apart. The other thing is it’s very, very hard to make a small deck builder. You need a certain quantity of cards, even cards that are very similar, to get the mechanism of deck building to work. So many! Here are just a few. Dominion helped to establish this archetype recently and it has a really large number of expansions. It’s also not the best-edited game in the world. Star Realms is a head-to-head deckbuilder that uses its cards to represent space ships and space stations. Roll-and-move refers to a mechanic where players are given a field to move in, and roll dice to determine how and where they can move. They might be moving freely in a grid, or the dice values might determine where they can or can’t go. The basic mechanic is simple, though: Roll any number of dice, and use that information to determine your movement in some way. Roll and move is effective as a starting point mostly because it’s really, really well known: Most people know a roll-and-move game and they get it quickly. It also has a lot of underexplored space: most roll-and-move games these days tend towards moving in one direction, like Monopoly or Trouble, but there’s a lot you can do with it – roll and move could be useful for representing things like the pull of variable things, or weather patterns, it could be useful for acceleration or deceleration effects. Roll and Move is a bit of a pariah mechanic in games because there’s been a lot of really bad roll-and-move games made that were distributed. What’s more there are some games that would be pretty good if they didn’t use Roll-And-Move and instead came up with some better, more thematically appropriate scheme to handle movement. Basically, Roll And Move is something of a Default and it shouldn’t have to be, nor should people feel obligated to consider it as such. Some roll-and-move games include Hero Quest, Monopoly, and Snakes and Ladders. It’s obviously not a well-regarded mechanic but that doesn’t mean you should consider it unusable – it’s also the basis of the game Camel Up, and is explored in Formula D.
A BUILDER game is simple to explain: It’s a game where you build something. That makes it sound silly to describe, but it’s a place to start. Most games can qualify as builder games. Dungeons and Dragons has you build a character, Betrayal at House on the Hill has you build a house, and Fiasco has you build tension. But those aren’t really games that fit the term ‘builder,’ because ‘builder’ is really a term about how the game feels. Builder games are games where your primary focus is on building things, and those games tend to be games with a sense of material to them. You’re building a thing that you can look at and watch grow, and the feeling of that thing growing is meant to feel rewarding. In Betrayal At House On The Hank Hill, there’s no personal connection to the growth of the house, and in Dungeons and Dragons the building of a character is of a slightly immaterial thing. Magic: The Gathering requires you to build a deck to play, but unless you’re drafting, you’re not building the deck on the spot. Builder games are games with a lot of inherently obvious value to them. Making things is very satisfying. You can use building to be part of the challenge of a game, as with Junk Art or you can use it to be the reward for playing, like in Dominion. There are a lot of things you can use Building for, representing a whole host of different themes. It’s almost too broad a term, but I want to put it in this little dictionary of terms because when I refer to a builder, or refer to builder mechanics, I want it eaisly conveyed I mean a game where making something tangible is core to the experience. The biggest limitation of builders is that the bigger the thing you build, the more difficult it is to easily mentally parse it. Builder games often inherently increase in complexity! If the building components don’t increase in complexity it can be unsatisfying to watch the builded thing grow! Games with good ‘building’ feels to them are often deck builders, like Thunderstone, Star Realms or Dominion, or they’re about building up a thing in an empty space. Some games like Dream Home have an element of builder to them, but that’s filling out slots on your board, and may feel less rewarding. Some games like Barenpark have that same effect, but the process of building is more difficult and may feel more rewarding. Same to with Galaxy Trucker, where you’re building within a box. A game that has more of an open builder feel might be something like 51st State or Imperial Settlers or Seven Wonders.